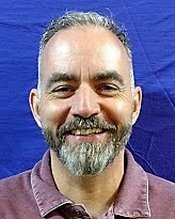 Mr. Delamater is in his second year at PACE Academy and will be teaching two classes this year; Careers in Criminal Justice and The Academy – a self-improvement class based on the book by Sean Covey, “The 7 Habits of Highly Effective Teens”. One of the changes in the classroom has to do with our reading lounge. The criteria for using this lounge during class time has changed. The students who complete the most lessons on a given day, have the option of sitting in the reading lounge for their classwork on the following day. Hopefully this will be a motivating factor for many. I'm excited about the physical education and health components that Mr. Green is working on as well as being the Sponsor for our Mountain Bike club. There are so many other ideas that I feel will be of benefit for our PACE students include; job placement and support programs, life skills projects, court survival discussions/groups, and trades exploration through CTEC or other technical schools.